Camp Westlake Located At The Stadium! Summer Camp Full Day Pass (8am-3pm) Just $39 For Ages 5-11. May Purchase up to Nineteen Days Per Child. 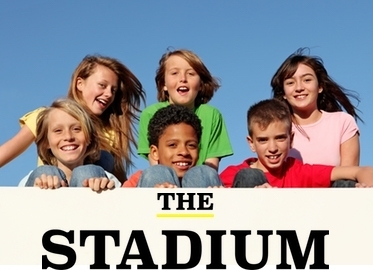 We could fill a “stadium” with all of the Conejo Deals moms and dads worried about how to keep kids occupied during summer break! As luck would have it, we now have THE Stadium, the incredible kids’ play center in Westlake Village, offering a deal at Camp Westlake to keep kids active during over summer break! And you can purchase up to 19 days (all the days offered!) per camper. What we love about Camp Westlake is that the camp day is so varied. Kids play laser tags, games, visual arts, soccer, laser maze, game lounge, yoga, science, team games, animation classes, arts and crafts, and more! And the counselors are top notch.